I felt that uncertainty and confusion when the Boulder Area REALTOR® Association asked me to lead their fledgling YPN in 2012. We didn’t know where to begin or what our priorities would be. How we overcame this initial confusion and disorganization is what I hope to share with the readers over the coming months. I want to offer you tips that can be implemented at your associations to help your newly established YPN and long-standing networks thrive. I hope you will find some tips here that you want to implement with your YPN teams. I also welcome your e-mails, tweets, and comments if you have something to share. If you want, I would be thrilled to present your feedback about successes and challenges overcome in future messages. So what did our YPN group do when we were standing on the edge of the preverbal cliff trying to figure out our next move? Leanne Goff speaking to members of the San Antonio Board of REALTORS® YPN. First, we determined what our goals would be. Using to the YPN Mission statement, we found our core values, which focus on leadership at our board, as well as community service in our area, and, of course, social activities – because that’s what REALTORS® do best! After we outlined our goals, we did what well organized and methodical business people do best; we made a plan. This took form as an annual outline that lays out our goals on a monthly basis. We hope to engage the larger group of REALTORS® at our association in activities that are led by the YPNers. The Boulder Area REALTORS® system starts in January with a meeting about business plans for the agents. Then February is a social event. Each month we rotate between business development activities that YPN leads the greater association of REALTORS® through. Then the next month we have a fun social activity. Another awesome activity that I recently learned about and participated in comes from the San Antonio Board of REALTORS® YPN group. They reach out to other boards to bring in YPN speakers. 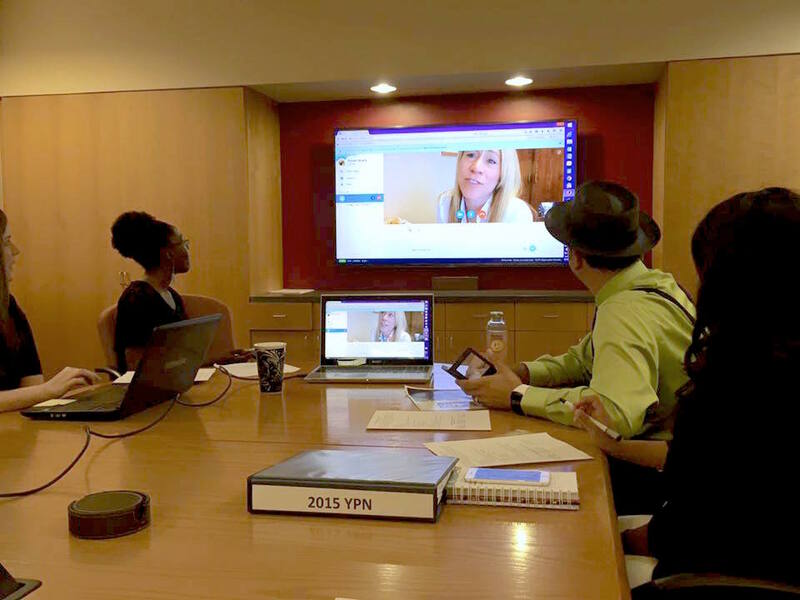 Rick Alcorta sets up Skype-style speaking engagements with YPN leaders from around the nation to inspire their local network of YPNers. If you have a well-established YPN group, it would be great to hear from you with regards to what is making you successful. Please post below, tweet me, or e-mail with what has been successful for your group. Likewise, if you are a new YPN group and have questions, or want to see our annual plan for the year, I welcome your comments as well. Leanne Goff is a managing broker with TrailRidge Realty, an independent real estate agency in Boulder, Colo. She has been licensed since 2008, and is active with the Boulder Area REALTOR® Association. Her work with BARA’s YPN led to achieving NAR’s Small Network of the Year Award in 2014. Connect with Leanne on Twitter: @leannegoff, or on LinkedIn. Great advice. As I start my year as the Chair of YPN of the Chicago Association of Realtors, I am grateful that we are established group as we have had great successes with our past events like our free monthly breakfast meet-ups, the kick-off event, summer mixer and lastly raising thousands of dollars for RPAC.